To keep up with consumers’ habits and expectations, retailers must move to a unified commerce model that allows people to shop whenever, wherever, and however they want, Boston Retail Partners (BRP) concludes in a recent report. But to do this, they must first achieve “the five Es” of customer experience: educate, engage, execute, enhance, and enable. Educate refers to the research that consumers do when beginning the purchase process. Although 84 percent of retailers offer product information on their websites, 50 percent say that their online product information needs improvement, according to BRP’s research. Additionally, the report identifies social media as an area that particularly requires attention: Although 85 percent of retailers offer social media for research purposes, 58 percent say current social media offerings need improvement. The report also found that retailers are catching onto mobilization in the physical store: 93 percent of retailers have or plan to have a mobile or tablet application for associates within three years, which the report says is crucial to bringing together digital and physical experiences. With regard to engagement, the report notes that most consumers automatically receive personalized offers and recommendations on e-commerce sites but remain anonymous when shopping in physical stores, thereby excluding them from the same personalization as they walk the aisles. 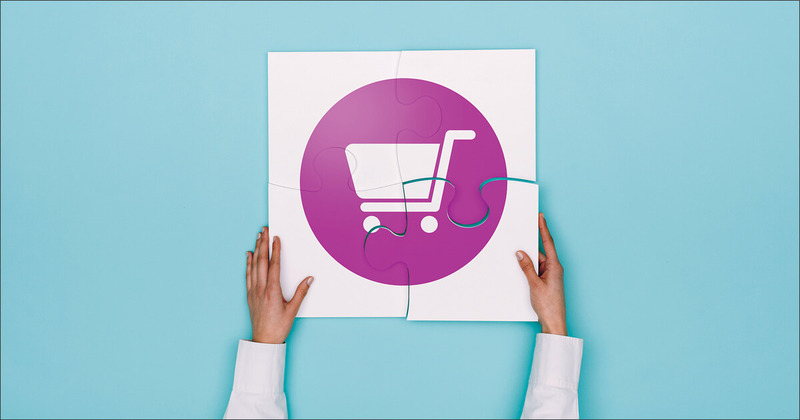 This disconnect applies in other contexts as well: Sixty percent of retailers can identify customers before online checkout, but only 23 percent can do so prior to in-store checkout. The report suggests that retailers should offer consumers incentives to provide the necessary personal information for customer identification. Currently, only 37 percent offer personalized service as an incentive, and 30 percent offer product incentives. Execute, according to the report, means successfully using cross-channel capabilities. While just 7 percent of retailers currently offer “start the sale anywhere, finish the sale anywhere” capabilities, 52 percent plan to do so within three years, according to the research. And while 65 percent of retailers have consistent pricing and promotion across channels, 34 percent say they need improvement in that area; similarly, 66 percent of retailers have consistent product assortment across channels, yet 38 percent say they need improvement in that area, according to the research. The report notes that many of these capabilities are the result of combining manual processes and disparate systems and asserts that retailers should instead look to adopt a single commerce platform. Enhancing the customer experience requires understanding customers’ likes and dislikes, according to the report, which found that though 75 percent of retailers measure satisfaction based on social media comments, 46 percent say they need improvement in that area. Similarly, 49 percent measure customer satisfaction based on customer reviews on their websites, yet 28 percent say they need to do better. Retailers need to improve their reporting and analytics capabilities to make their data more actionable, the report concludes. Enablement means having the right technology foundation to deliver desired customer shopping experiences across all channels, according to the report. Among these, 49 percent of retailers have centralized inventory management, yet 28 percent say their system is lacking. Similarly, 55 percent have a single order management system, yet 45 percent say improvement is necessary; 31 percent have an integrated CRM, yet 24 percent say improvement is necessary; and 34 percent have predictive analytics, yet 31 percent say improvement is necessary. He adds that “some of the most comprehensive, innovative solutions in retail are taking place in the grocery, fast-food restaurant, and rapidly growing ‘dollar store’ segments.” These innovations include self-scanning, curbside pickup, and one- and two-hour delivery windows. He cites grocers Kroger and Meijer as well as fast casual restaurant chain Panera Bread as examples of companies that are operating in these ways.